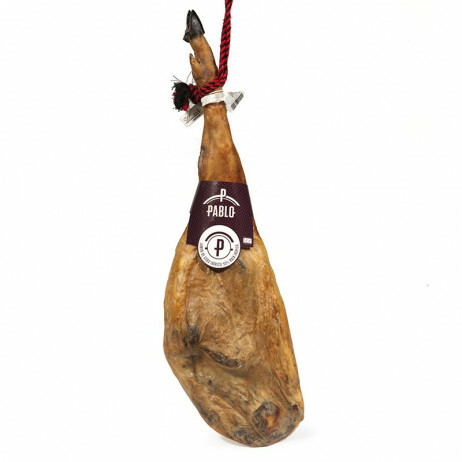 This ham has the color and smell of any product derived from Iberian pigs característico.El Iberian ham is elongated and stylized. 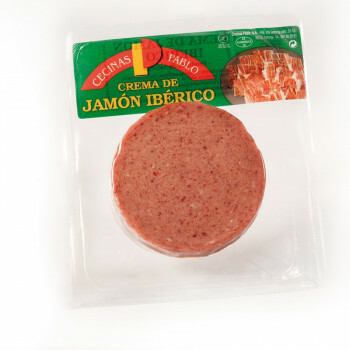 His flesh? 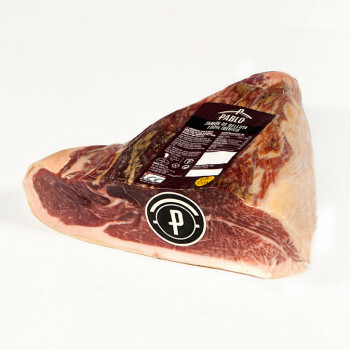 Namente marbled fat is bright red. 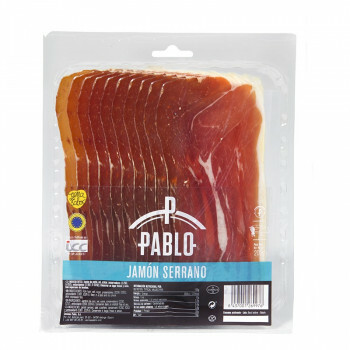 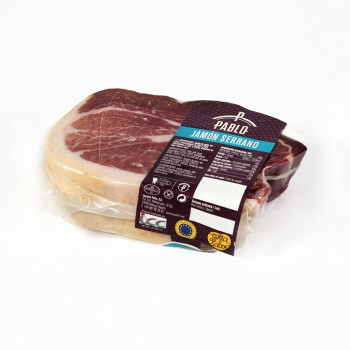 Its flavor is also clear evidence of the Iberian breed still strong and drier than the ham. 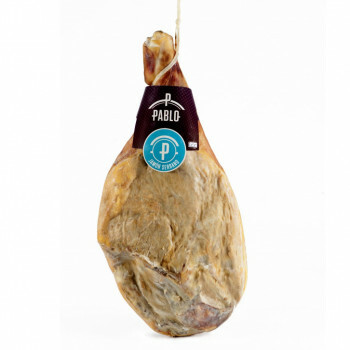 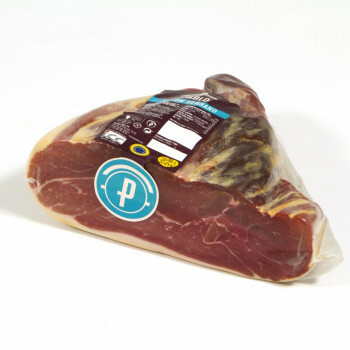 It is a ham with a very high value as it will get the taste of the Iberian own, but at very reasonable prices for a whole piece of ham at home. 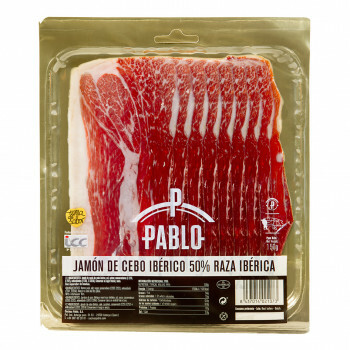 Cutting recommend starting at the thinnest part of the ham because it has the least bacon and therefore the previously dry. 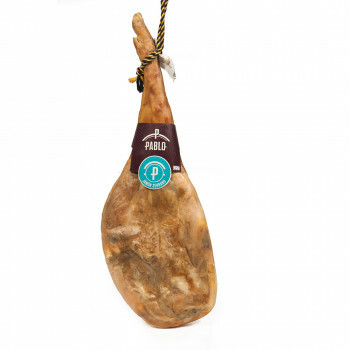 Weight Los jamones se presentan enfundados en malla de algodón con vitola.